Ryan is a Vancouver based Canadian immigration lawyer who advises clients on all Canadian immigration and citizenship issues. He has significant experience assisting Canadian and multi-national corporations transfer key employees to Canada through the utilization of Labour Market Impact Assessments, Provincial Nominee Programs and various international trade agreements. He is particularly active with clients across Canada working in engineering, civil infrastructure, natural resources, e-Commerce and various skilled trades. Ryan also customizes strategic immigration solutions for individuals and families, with an emphasis on employment, investment, and family sponsorship based applications. 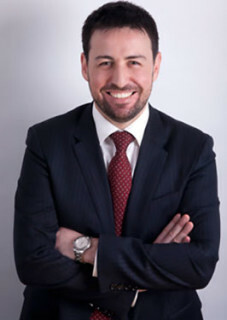 Ryan co-founded Larlee Rosenberg in 2009 and serves the firm as Managing Partner. He is a published columnist, a regular panelist at immigration law conferences and an active member of the Canadian Bar Association. In 2011 he testified as an expert witness before the Senate of Canada on proposed amendments to Canadian immigration laws.